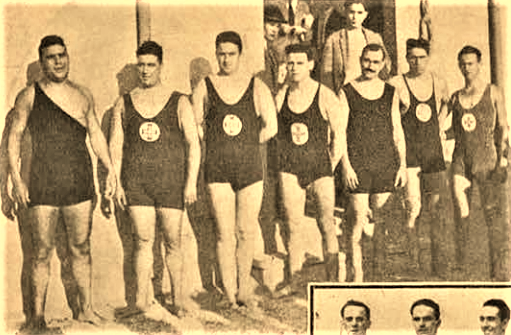 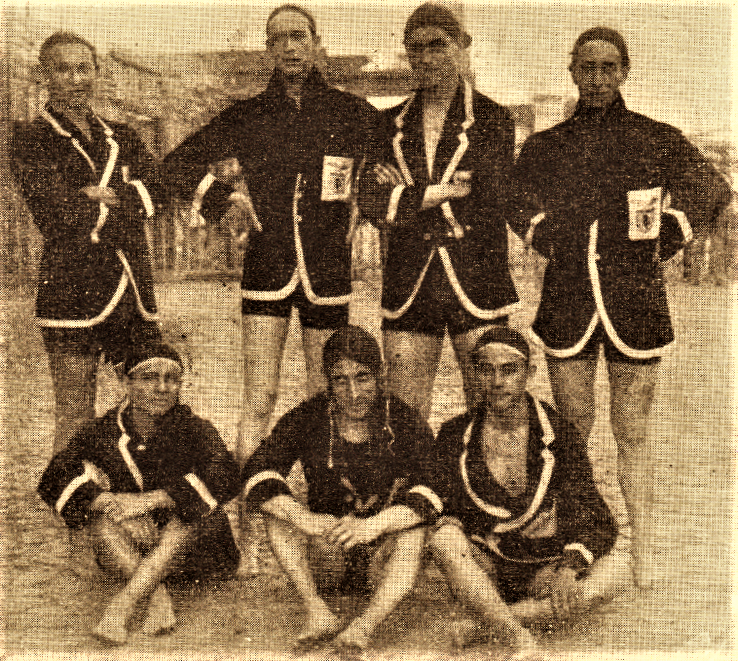 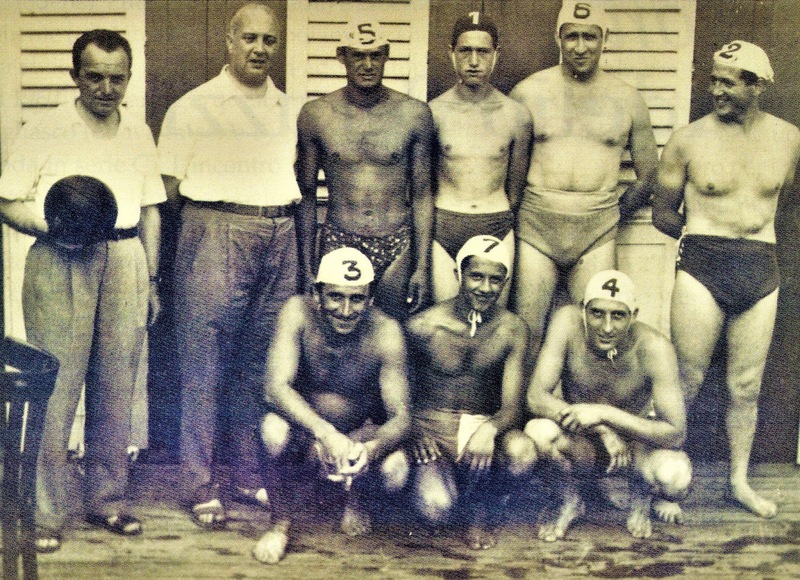 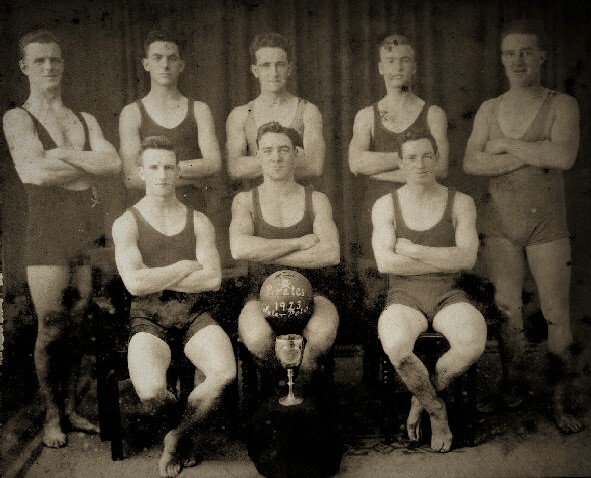 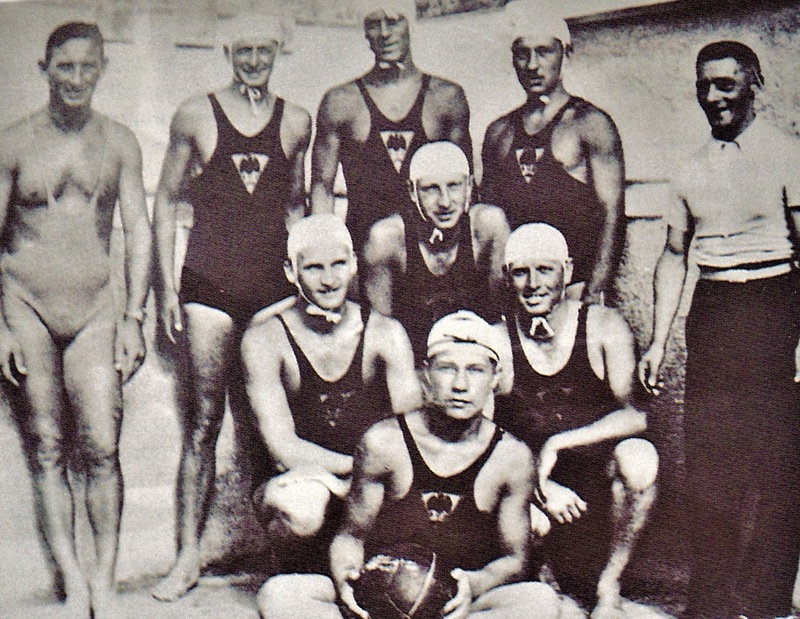 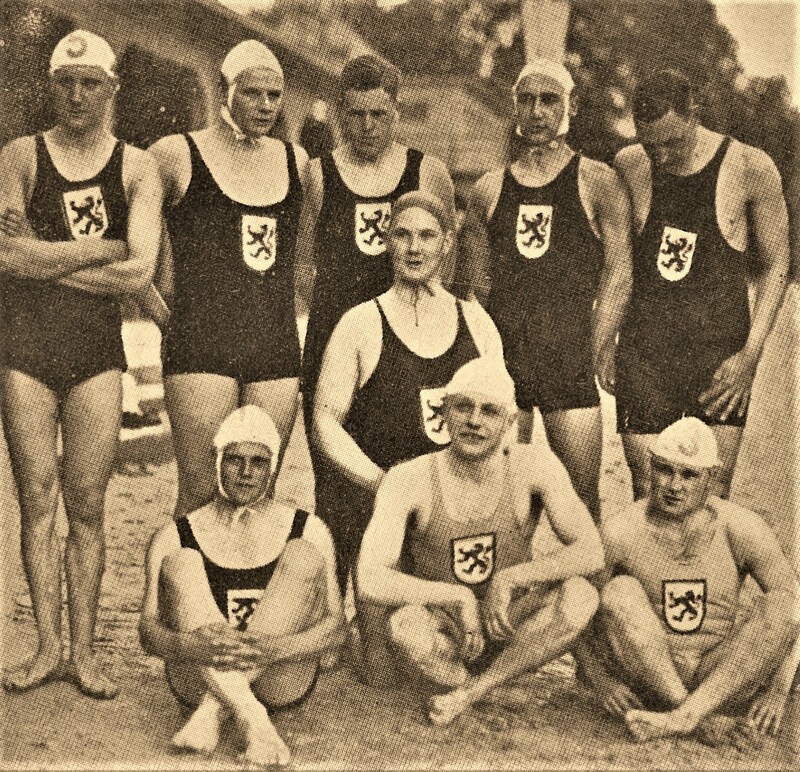 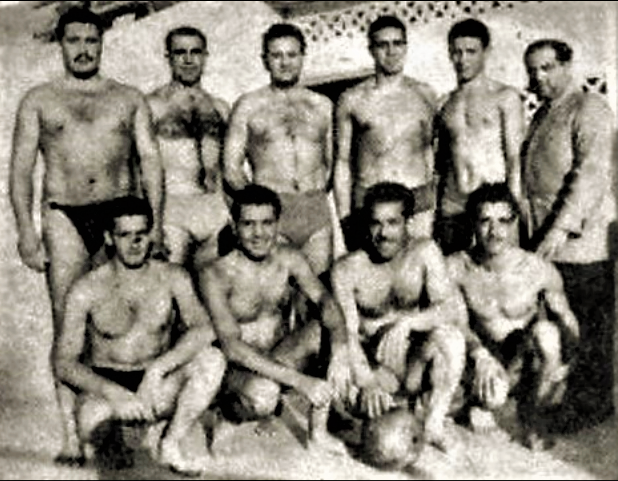 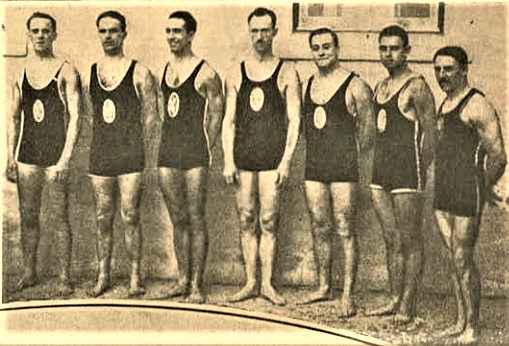 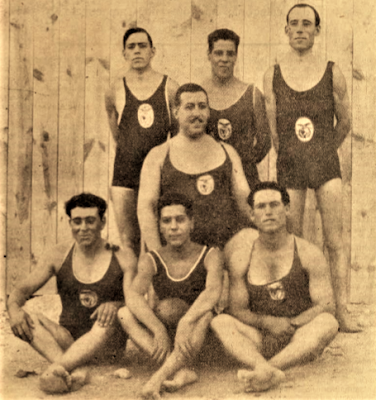 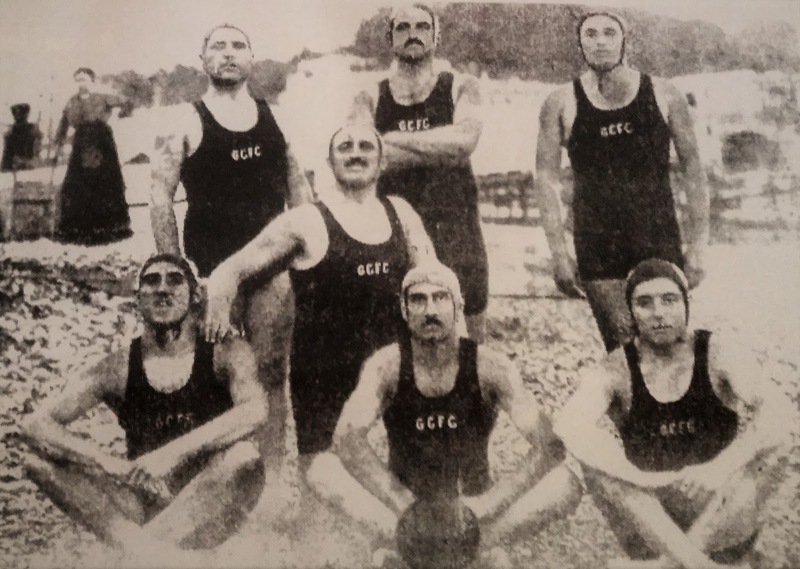 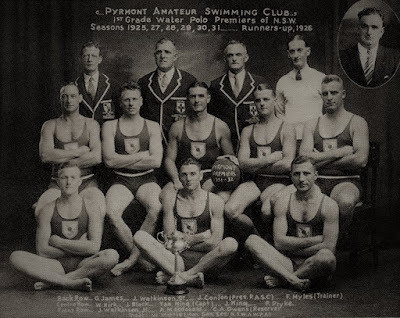 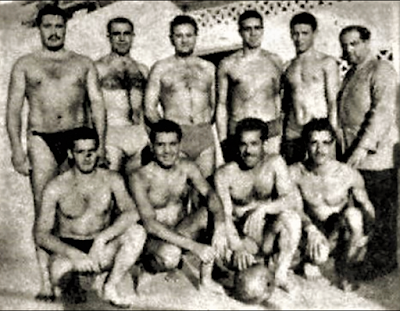 The team of the Pirates Water Polo Club, winners of the Hawke's Bay Championship, 1922-1923 in New Zealand. 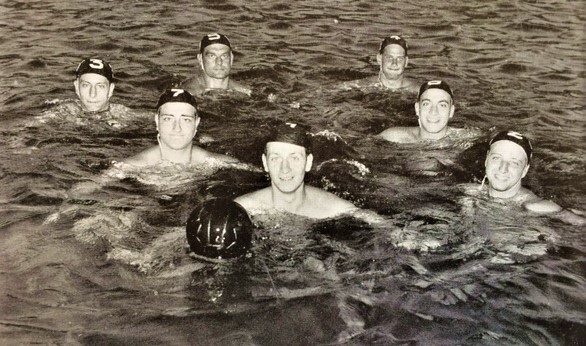 Standing L-R: T Daley, A Cohen, W Wilkie, R Kivell and E Amner. 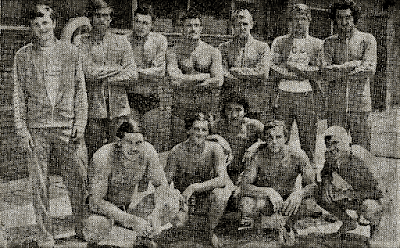 Seated L-R: C McKinnon, N. Kivell (Captain) and R McCallum. The team of Germany winner at Bonn 1989 European Championships coached by Uwe Gassman. 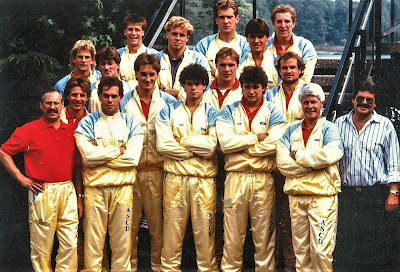 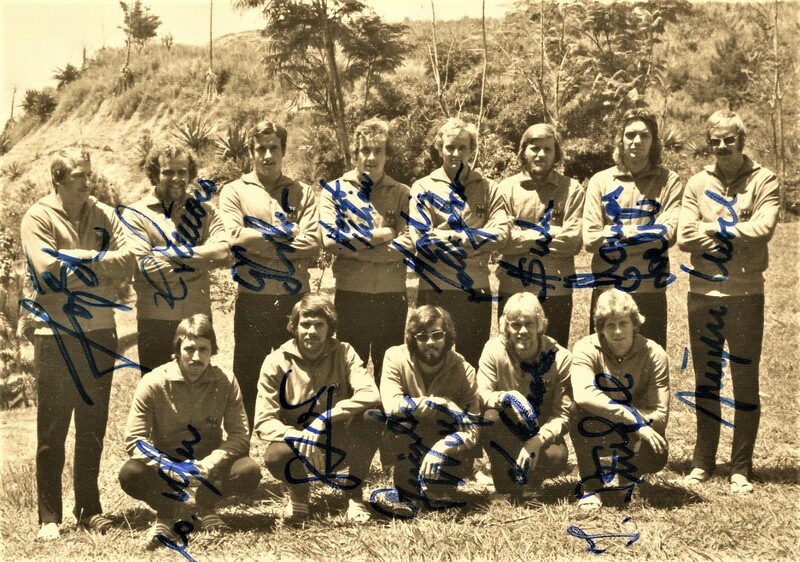 The team: Ingo Borgmann, Thomas Huber, Frank Otto, Lars Tomanek, Dirk Schütze, Andreas Ehrl, Carsten Kush, Rainer Osselmann, Hagen Stamm, Ren Reimann, Dirk Theismann, Jörg Dresel, Uwe Sterzik, Peter Röhle. 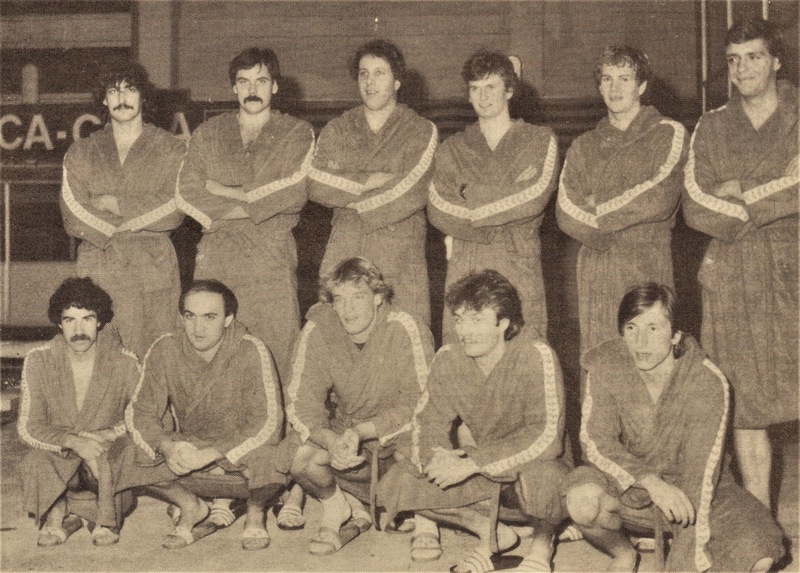 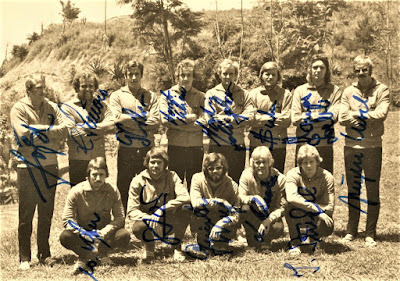 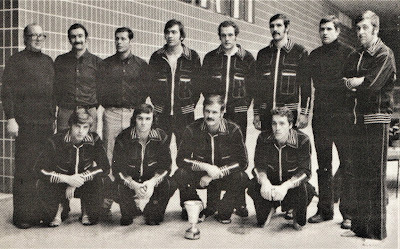 The team of USSR winner of the European Junior Championship held in Budapest in 1978. 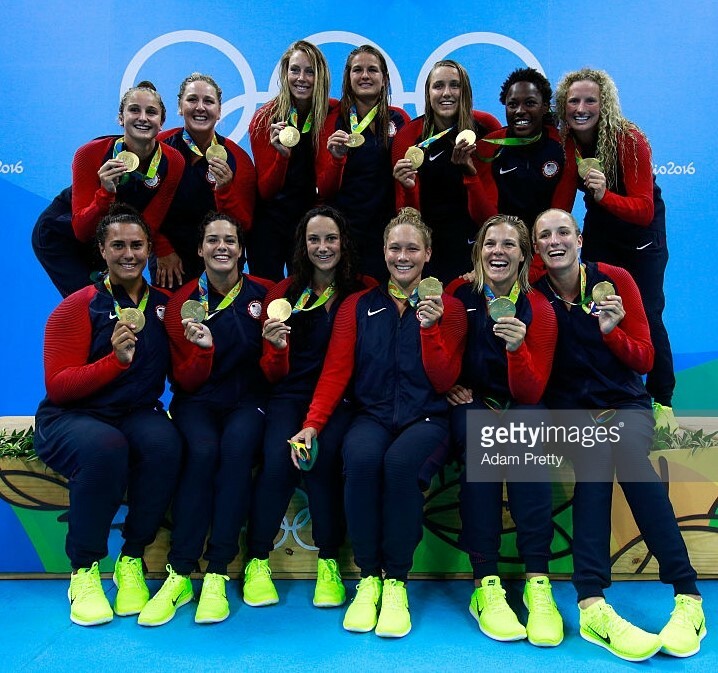 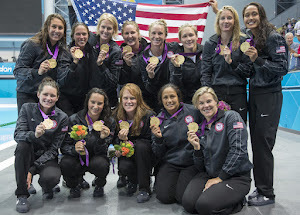 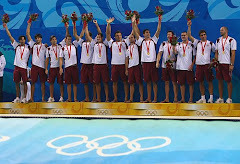 The final ranking: 1. 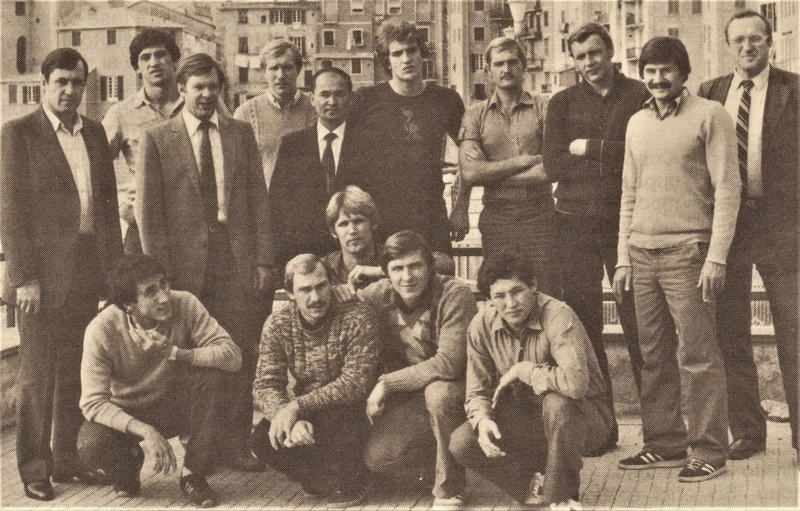 USSR, 2. Hungary, 3. W.Germany, 4. 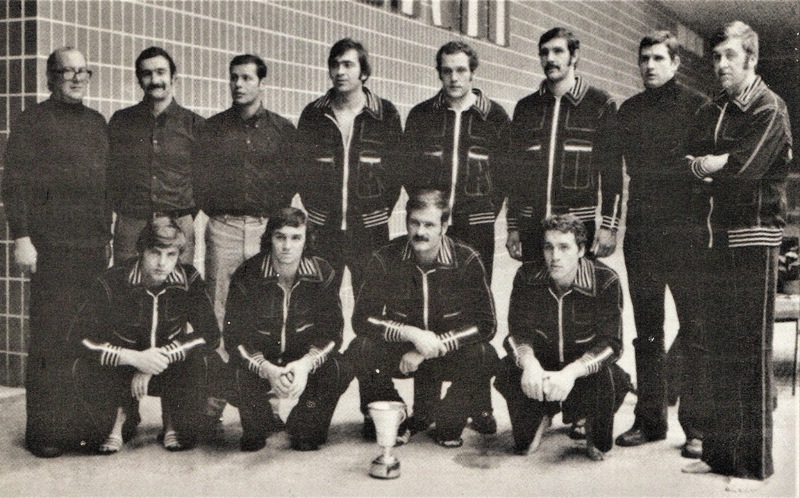 Spain, 5.Yugoslavia, 6. 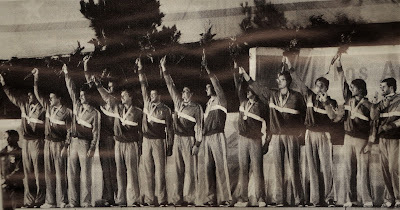 Romania, 7 Czechoslovakia, 8 Bulgaria. The team of VK Partizan Belgrade in 1988. 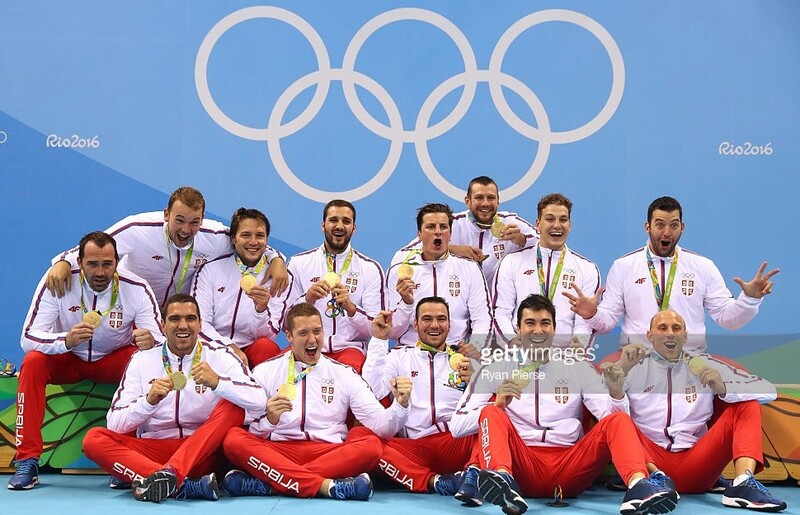 Standing L-R: Dusan Popovic, Goran Radjenovic, Zeljko Krivokapic-Baka, Igor Milanovic, Dragan Andric, Anto Vasovic, Aleksandar Sostar, Mirko Bradajic, Marinko Roje, Milan Radan Squatting L-R: Milan Tadic, Vitomir Padovan, Nikola Ribic, Darko Udovicic, Igor Gocanin, Pino Dragojevic, Dejan Udovicic. 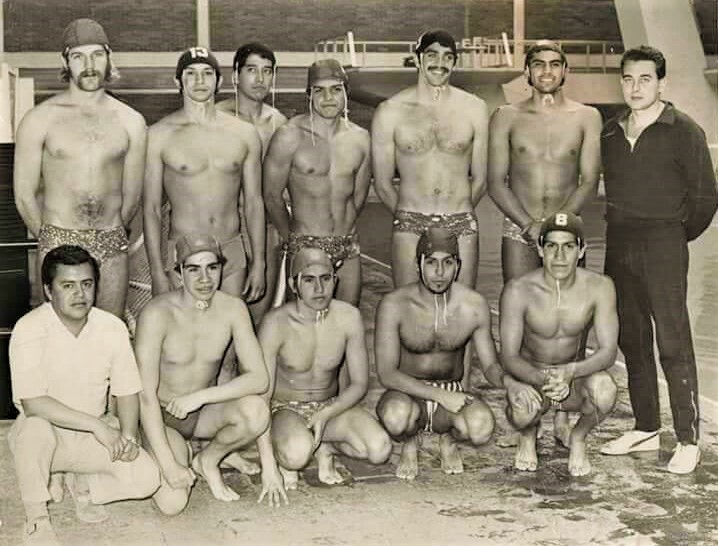 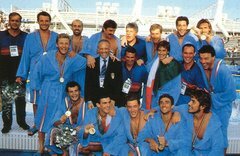 Paolo De Crescenzo (Naples, 1950 - June 2, 2017) was an Italian Water Polo player and Coach. 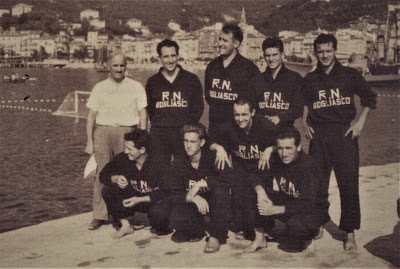 Paolo grew up in Canottieri Napoli under the leadership of Friz Dennerlein. 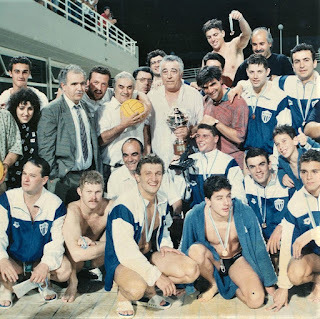 He started in the first team in 1965, beginning his militancy in that group that dominated Italy's water polo in the 70s winning 4 Italian Championships and the 1977 European Champions Cup. 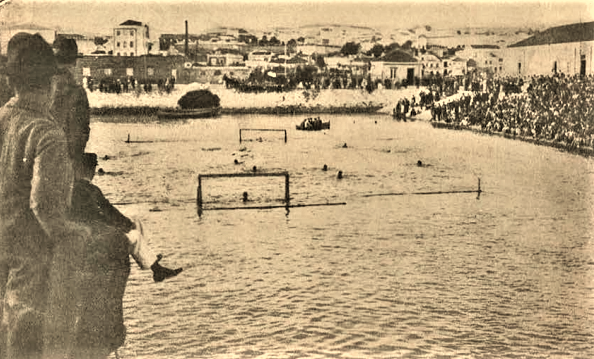 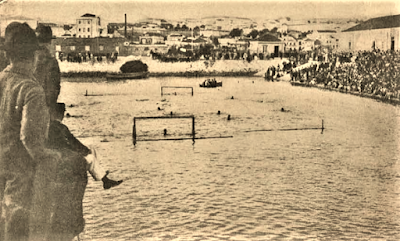 In 1983 he became Head Coach of Posillipo Napoli and immediately won the sympathy of the environment. 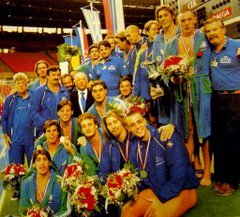 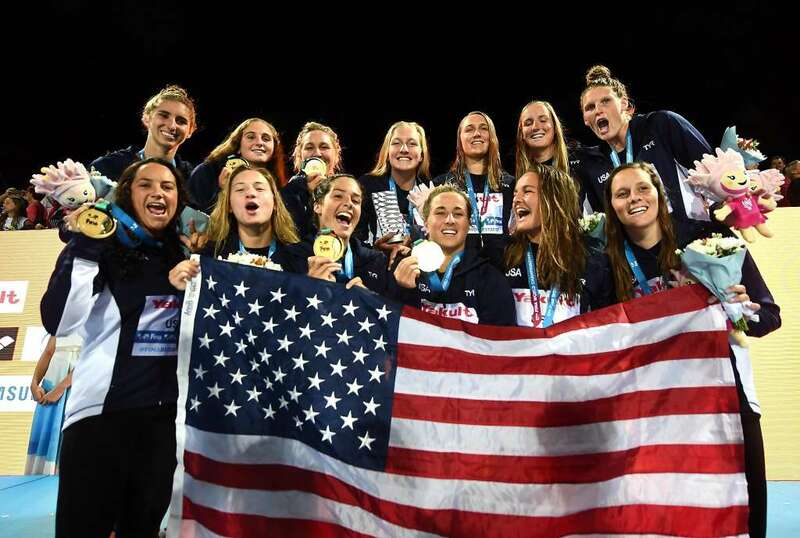 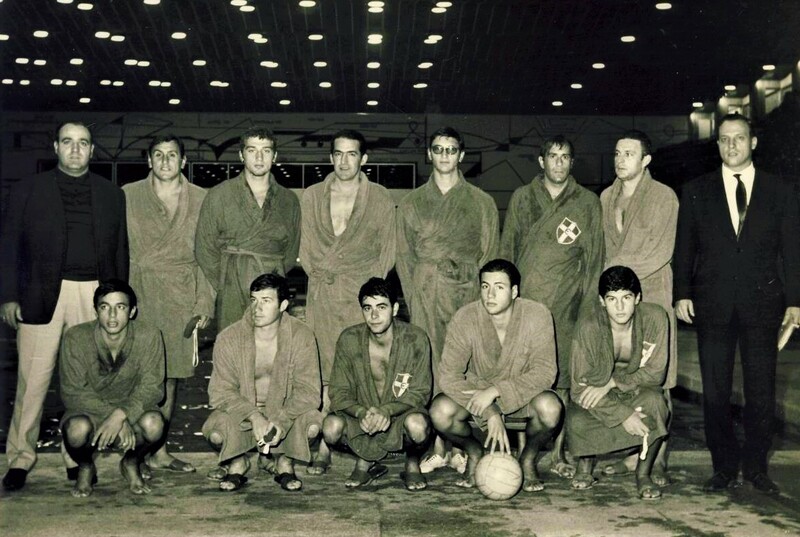 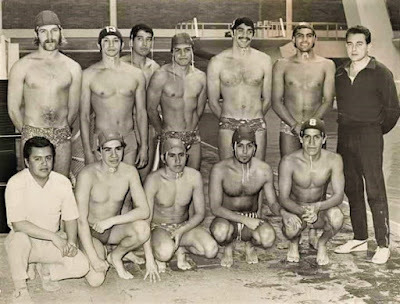 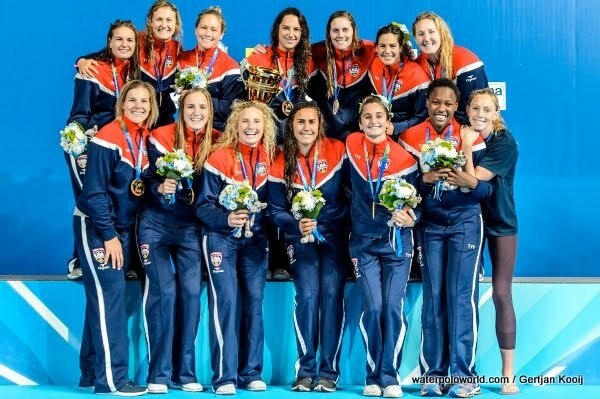 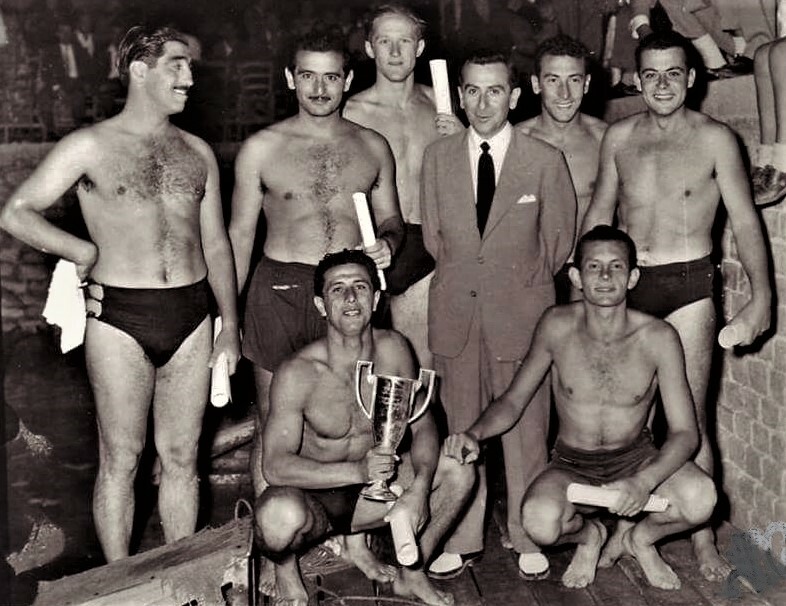 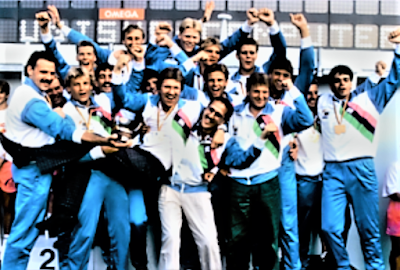 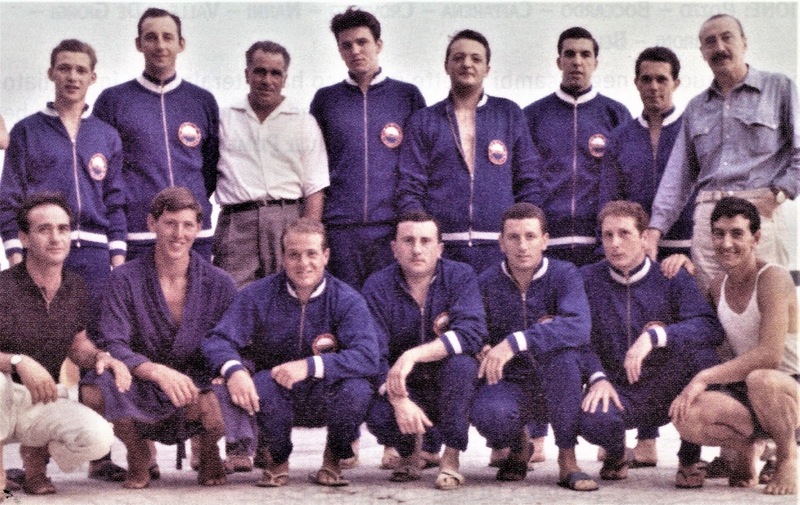 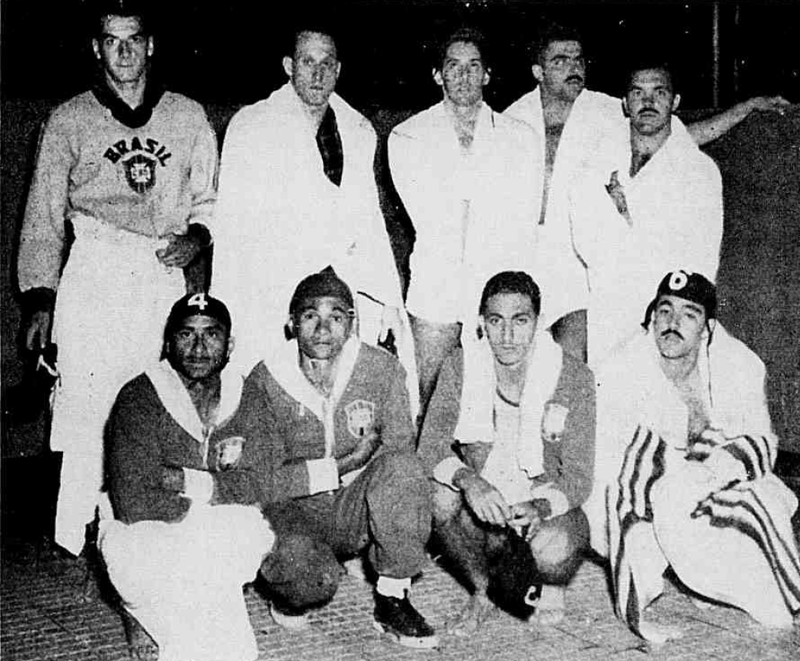 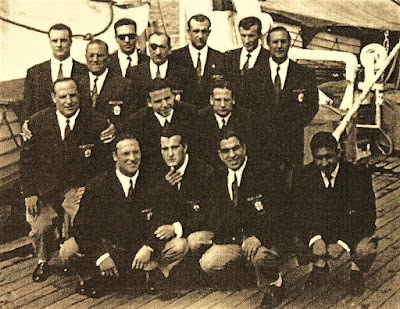 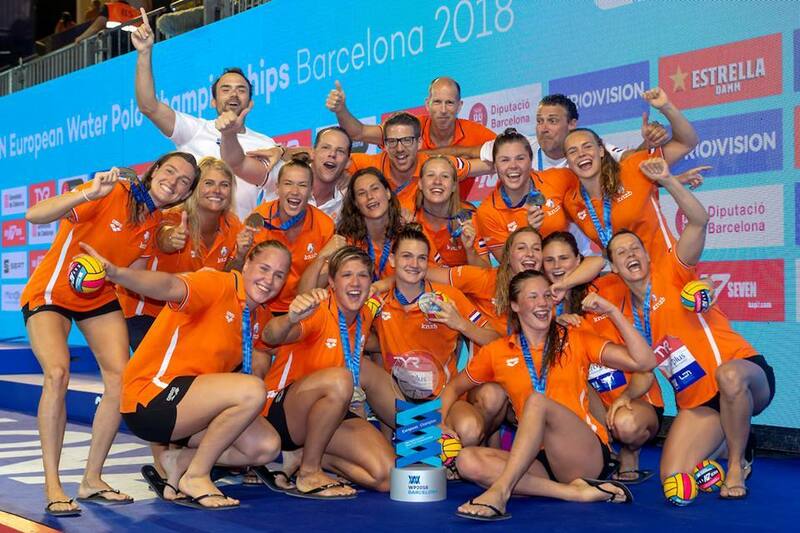 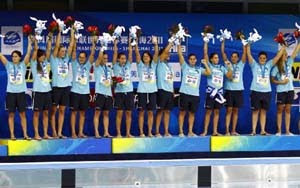 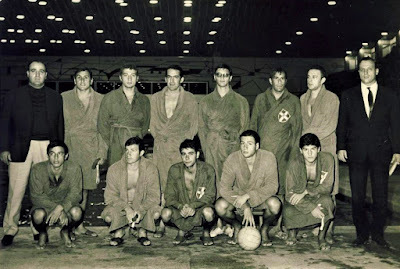 The coaching carrier of De Crescenzo from that point had an exponential rise: 9 Italian Championships, 2 Italian Cups, 2 European Cups and above all 2 European Champion Cup as well one European Super cup made him one of the most titled coaches of the Italian and European Water Polo. 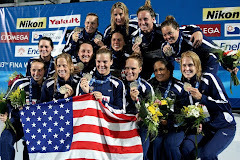 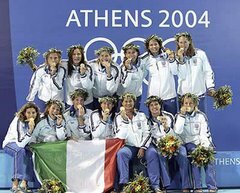 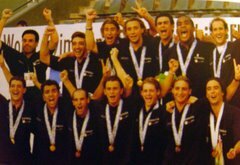 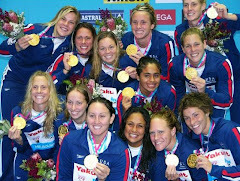 In the 2003-05 season he also led the National team to the Athens 2004 Olympic Games before returning for another two years to his beloved Posillipo, then retiring in 2007. 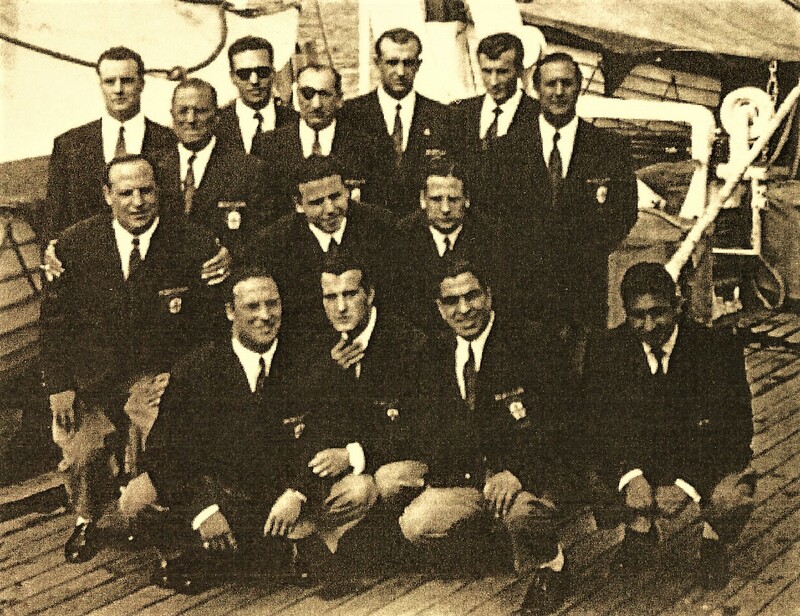 In the summer of 2013 he returned to lead the A1 team Acquachiara, Napoli to its first European Participation. 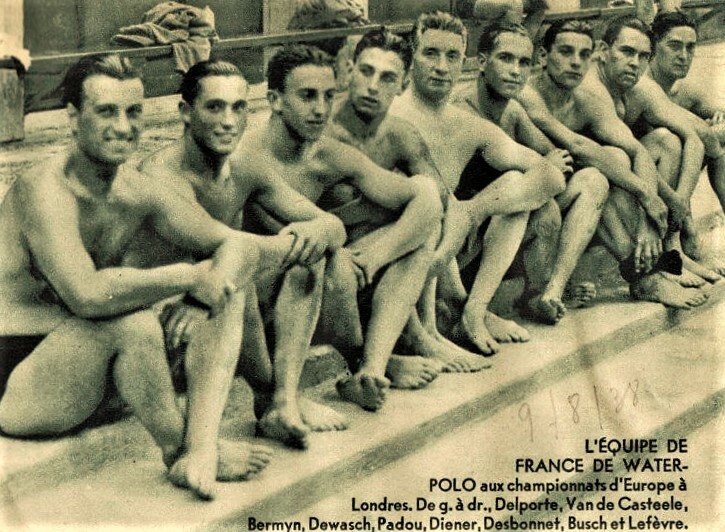 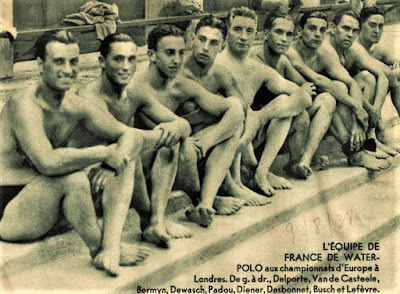 Italy Vs France (1-1) at the Empire Pool Wembley during the 1938 London, European Swimming Championships.